We proudly introuce the new BIC/Acoustech Platinum Horn Series. 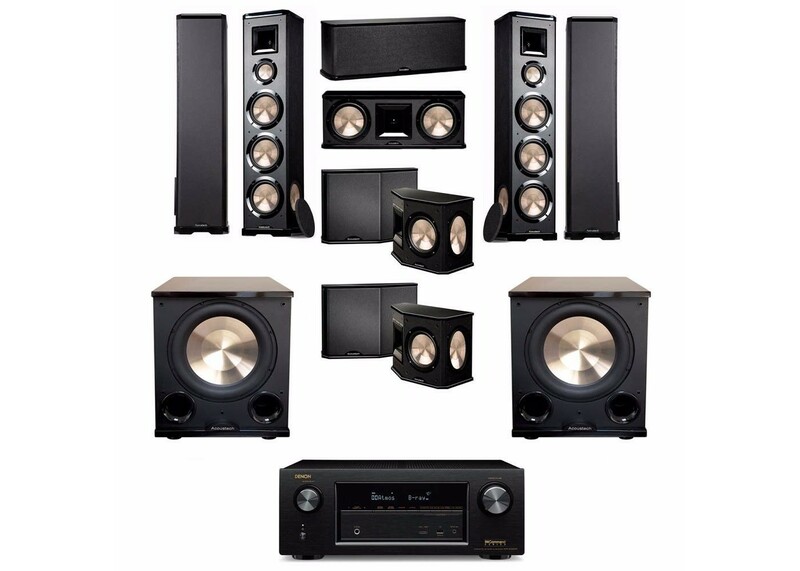 Since 1973, BIC America has been known for offering top-rated, quality audio components at unprecedented low price points. Over the past several years, BIC Acoustech speakers have become recognized as a superb value in horn speakers for the home while offering extremely affordable pricing. The high efficiency PL-66 bookshelf/surround speakers deliver performance with lush, crystal clear sound for both music and video, They offer angled cabinets which enable wide dispersion reflection throughout a room. Each speaker contains one 6 1/2" mid/high frequency aluminum dome horn tweeter with neodynium magnet, one 6 1/2" poly-injected woofer with butly rubber surround, and one 5" x 7" passive radiator for extended bass output. All Acoustech Platinum Series speakers come in elegant enclosures with hand-rubbed black lacquer tops and bottoms. This extra step ensures each cabinet has a deep gloss shine that is more scratch resistant than many lacquer finishes on the market. Flush wall mounts included.